Weber, Max. The Protestant Ethic and the Spirit of Capitalism. United States: Charles Scribner’s Sons., 1958. 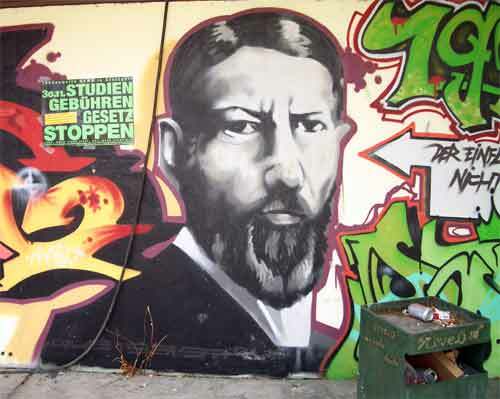 Max Weber’s The Protestant Ethic and the Spirit of Capitalism has received positive acclaim in the past and continues to be widely celebrated. The “Protestant Ethic” has remained a well known term in the English lexicon and the arguments it represents continues to be treated seriously within academic circles. On the surface, the content of Weber’s famous work seems persuasive and well grounded. However, a closer analysis of how the text functions not only seriously calls into question its factuality, but the alleged objectivity of the author himself. Although there have been various counter-arguments made against Weber’s conclusions, this book review will focus on the form and structure of his work. Weber’s engagement is logical through the use of what I like to call dichotomous inclusion-exclusion frameworks within the text’s content. At the introduction of the text, the author endeavours to demonstrate the uniqueness of ‘Western’ civilization relative to others as well as emphasize its alleged “universal significance and value”. At first glance, being different and universal appears to be paradoxical. However, the author overcomes inconsistency by using a framework that illustrates through a series of comparative examples the ways in which this west prevails as a center of universality. The universality of Western civilization is clearly understood to be a “specific” and yet solely “valid” rationalism that underlines its every cultural attribute. In systematically comparing aspects such as natural science, music, architecture, and capitalism, the author creates a narrative that does not merely outline the differences between western civilization and non-western civilizations (particularly those of a so-called “Orient”). It also demonstrates the existence of a universal characteristic within western civilization that is lacking in the others. Thus, in implementing this framework, the author is able to develop a logically consistent assertion that the West is both distinct and universal. By no means does Weber restric t his usage of a dichotomous inclusion-exclusion framework to the introduction of his work. In formulating the notion of two historic opposing forces designated “spirit of capitalism” and “traditionalism,” the author is able to neatly designate details in such a way as to ensure that they always contribute to and never contradict his arguments. In short, Weber’s ability to categorize prevents any disruption to the logical flow of his narrative. When evaluating the pre-Protestant moral systems, the author is able to consider Catholic morality as merely requiring “external devotion” by categorically excluding it as traditionalist. Conveniently though, when assessing Protestantism’s maintenance of the pre-existing Old Testament morality, the author considers this related to the “powerful impetus” of a spirit of “self-righteous and sober legality” integral to “worldly asceticism” by categorically including it as a necessary ingredient of the spirit of capitalism. Furthermore, what at initial observation appears contradictory continues to be overcome in the text through the implementation of the inclusion-exclusion framework. For instance, while Weber can include Luther’s biblical notion of the “calling” as part of the Protestant Ethic’s ideological chronology by considering it foundational to the spirit of capitalism, he is also able to exclude Luther’s largely non-worldly interpretation of the bible by designating it “traditionalistic.” Therefore, by utilizing an inclusion-exclusion framework, the author is able to exclude and include details as needed to ensure the production of a logically engaging narrative throughout the text. The monograph is written in both an empirical and judgmental mode. In the introduction of the text, Weber asserts that his text is a “sociological and historical investigation” analyzing all “influences and causal relationships.” His choice to disregard racially comparative anthropological studies is not motivated by moral or ethical considerations. On the contrary, its absence from his discourse is due to his professional opinion that research in this field, while not without “notable achievements,” has yet to produce “satisfactory answers” to what is still “unknown.” Moreover, Weber builds his analysis on the basis of facts and trends that can be tangibly verified. The fact that Germans with Protestant backgrounds dominate ownership of capital and make up the bulk of “technically and commercially trained personnel of modern enterprise” is not fabricated by the author. After all, the observation made in Weber’s discourse is citing from statistical studies that were carried out in Germany during the end of the nineteenth century. It is from this statistical trend that Weber is able to formulate the argument that the reason for the difference of work habit between Catholics and Protestants lies in the “intrinsic character of their religious beliefs.” Thus, the mode of writing within the text is empirical. Although an empirical mode is present in the content of the text, the judgemental mode of writing in the author’s analysis cannot be disregarded. Through a selective use of wording, Weber injects his personal views into what is allegedly an ‘objective’ discourse and in doing so produces a narrative that conveys his opinion as fact. For instance, in describing the Catholic priest of the Middle Ages as a “magician” able to perform “miracles and transubstantiation” and holding the “key of eternal life” in his hand, the author projects a particular image of the Catholic Church to the reader. While the description in its self is not factually based (it notably lacks any citation), it nevertheless succeeds in cultivating notions of the Catholic tradition as being superstitious, fantastical, and anachronistic. Furthermore, with historical events that are consistent with his arguments, Weber also employs wording that misleads readers to interpret his opinions as factually based. In discussing the inner worldly asceticism of the puritan as taking “part in building the tremendous cosmos of the modern economic order”, the author portrays his interpretation of historical events in a specific way to readers (again no citation). The expression “tremendous cosmos” in itself compels the reader to perceive the development of the Protestant Ethic as an historical process involving a chain of interconnected historical events that produce an inevitable larger-than-life outcome. Therefore, along with being empirical, the mode of writing in the monograph is also judgemental. Weber’s explicit theory regarding the development of a so-called “spirit of capitalism” is produced by the linking of specific historical events and ideologies together. The author generates his discourse by weaving past occurrences and beliefs into what appears to readers to be a historical step-by-step process with a finite outcome. Commencing the “spirit of capitalism” chronology at Luther’s theological realization of the ‘calling’, Weber regards this concept as one later reinterpreted and expanded upon in Calvin’s notion of ‘predestination.’ In turn, Calvin’s idea of predestination allegedly resonated in a select number of “ascetic” Protestant movements that the author claims were never completely separated from each other. According to Weber, these Protestant sects, particularly the Puritans, cultivate “worldly Protestant asceticism” that eventually “gives way to utilitarian worldliness” of the modern age and organically becomes the prevailing “spirit of capitalism”. Thus, by directly connecting ideologies and occurrences of a period spanning almost five hundred years in a 183-page narrative, the author formulates a historical continuity that portrays the “spirit of capitalism” as an evolutionary outcome. Weber’s explicit theory regarding the historical emergence of a “spirit of capitalism” is generated by the confinement of the narrative’s attention to specific territorial boundaries. Conveniently, the locations from where “ascetic” Protestant movements take shape happen to also be states that Weber regards as bastions of the “spirit of capitalism”. Countries where Calvinism, Pietism, Methodism and Baptist flourished include England, Holland, Germany, and the United States, all countries with pronounced Protestant traditions. Consideration concerning the historical origin of the “spirit of capitalism” in non-Protestant Western Europe is notably absent in the text. Weber’s decision to limit his narrative’s focus to predominantly protestant countries is clearly intentional. After all, recognizing the historic involvement of non-Protestant countries with an alleged “spirit of capitalism” would conflict with the author’s advocacy of a historical continuity entailing the “spirit of capitalism” being exclusively a direct outcome of Protestant theological thought. Therefore, by restricting his narrative on the historical development of a “spirit of capitalism” to territories with strong Protestant traditions, the author is able to effectively ignore the existence of contradictory evidence to his arguments. The first section of this book review assessed how Weber’s arguments within the monograph is based on dichotomous inclusion-exclusion frameworks. The second section revealed how the work is written in both an empirical as well as judgemental mode. Lastly, the third section elaborated on how Weber’s explicit theory concerning the historical evolution of a “spirit of capitalism” works. In order to acertain the strengths and weaknesses of Max Weber’s The Protestant Ethic and the Spirit of Capitalism, it is vital that readers be aware of the means by which the author conveys and establishes his arguments within the text. Max Weber. “Author’s Introduction.” The Protestant Ethic and the Spirit of Capitalism. (United States: Charles Scribner’s Sons., 1958). p. 13. Max Weber. “The Spirit of Capitalism.” p. 59. Max Weber. “Asceticism and the Spirit of Capitalism.” p. 165. Max Weber. “Luther’s Conception of the Calling.” p. 80&83. Max Weber. “Author’s Introduction.” p. 31. Max Weber. “Religious Affiliation and Social Stratification.” p. 35. Max Weber. “Notes.” p. 188. Max Weber. “Religious Affiliation and Social Stratification.” p. 40. Max Weber. “The Religious Foundations of Worldly Asceticism.” p. 117. Max Weber. “Asceticism and Spirit of Capitalism.” p. 181. Max Weber. “Luther’s Conception of the Calling.” and “The Religious Foundations of Worldly Asceticism.” p. 79-98. Max Weber. “The Religious Foundations of Worldly Asceticism.” p. 95. Max Weber. “Asceticism and Spirit of Capitalism.” p. 170&176. Max Weber. “The Religious Foundations of Worldly Asceticism.” p. 98-150.